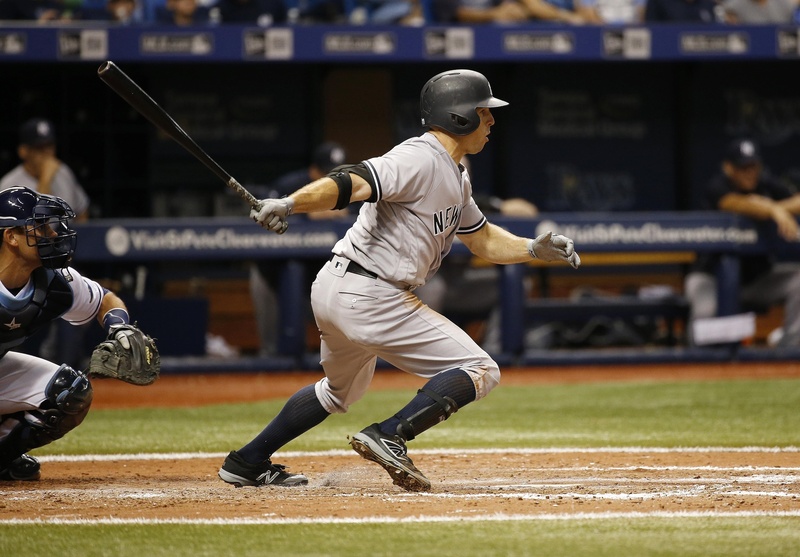 Looking up and down the Yankees 2016 stat sheet, Brett Gardner hardly jumps out at you. He’s slashing .263/.351/.378 with seven home runs and 13 steals. He’s been worth a respectable 2.2 WARP, and his wRC+ is basically the exact league average (99). That’s about as run-of-the-mill average a season as you will find. The interesting thing is where this season fits in his career as a whole. Brett Gardner broke into the major leagues at the age of 24, a late June call-up, who stuck around in the big leagues once he got the call to the show. 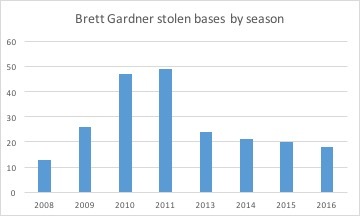 Gardner played 42 games in his rookie 2008 season, hitting just .228, but stealing 13 bases (in 14 attempts) and flashing enough leather (1.2 dWAR, per baseball-reference) in his limited time that he had positive value for the team. Gardner played just four games in the minor leagues in 2009, and that was as a rehab stint. Once Gardner made it to the big leagues, he never looked back. 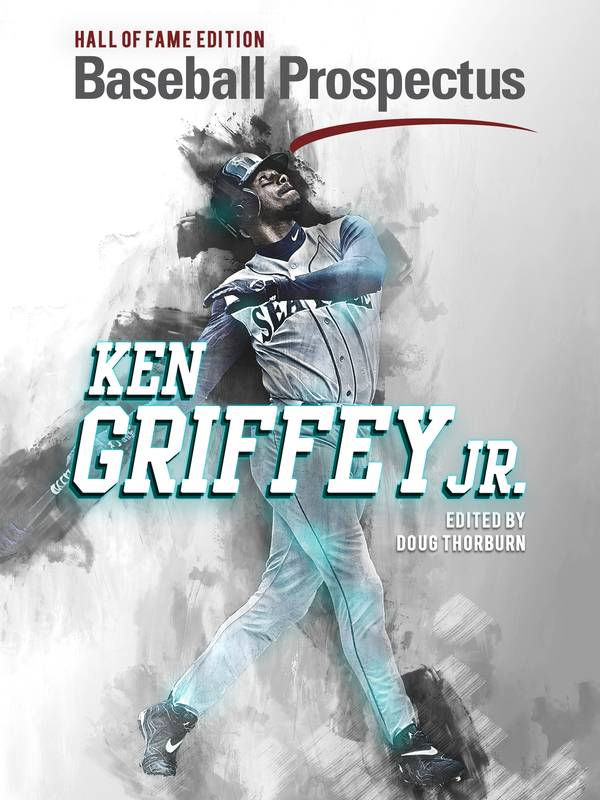 In fact, he took off on one of the smoothest career arcs one will find throughout baseball. That’s about as smooth a career arc as you’re going to find for a player. A perfect rising action, climax, and still-in-progress denouement – Charles Dickens would be proud. Although this may be the career arc most typically thought of with the standard baseball player (although there has been evidence to the fact that the aging curve may be looking a bit different in the modern era), it’s quite rare that a singular, N=1 player has a career arc this smooth. Take a look at some of Brett Gardner’s contemporaries. 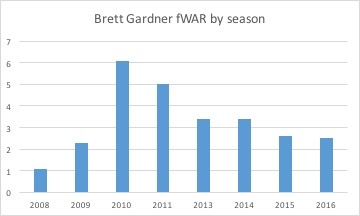 For this exercise, we’ll consider Gardner’s contemporaries to be players within a 2.0 fWAR range of Gardner since his debut in 2008. Gardner has been worth 25.7 fWAR in that time (again not counting 2012, which we’ll cover in a second), and there have been 11 players within the range of 24.7 to 26.7 fWAR during that time: Giancarlo Stanton, Justin Upton, Russell Martin, Shane Victorino, Jose Reyes, Josh Hamilton, Brandon Phillips, Mark Teixeira, Ryan Zimmerman, Paul Goldschmidt, and Nelson Cruz. First of all, that’s quite the interesting crew of “contemporaries” for Gardner, as any list that contains both The Might Giancarlo Stanton as well as The Flyin’ Hawaiian Shane Victorino offers plenty of intrigue. But more relevant to this discussion, here are the career arcs for that veritable Suicide Squad. 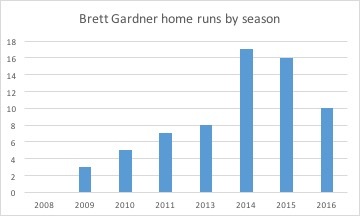 None of those look as smooth as Gardner’s career arc. I mean look at Nelson Cruz, he’s almost the inverse. Sure, Brandon Phillips and Ryan Zimmerman may come close to the classic career arc, but those come with the caveat that both players had seasons early in their career with high fWAR totals that would mess up their (relatively) smooth fWAR arcs from 2008-2016 pictured above. 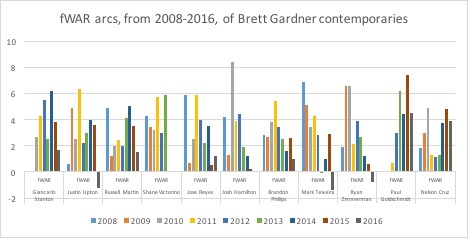 The biggest caveat to Gardner’s career arc is that his 2012 campaign was left out. If the 0.3 fWAR 2012 season was thrown into those graphs above, they’d look a lot less pretty, but even that season was almost just a complete non-season. Gardner only played 16 games, and while that obviously came at a cost to the Yankees, it’s not as if he had a drop in production, like so many of his “contemporaries,” but rather suffered a fluke elbow injury and missed basically the whole season. Brett Gardner is hardly an unrecognized part of the Yankee community. He’s beloved by most true Yankee fans, and respected around the league. As such, it’s cool that a player like Gardner has the stats that seem to mirror the man himself. Gardner has always been a consistent commodity that the Yankees could rely on, whether on the field or in the community. It’s fitting that such a player would possess such a clean career arc. Jim Turvey grew up a Yankee fan in enemy territory. 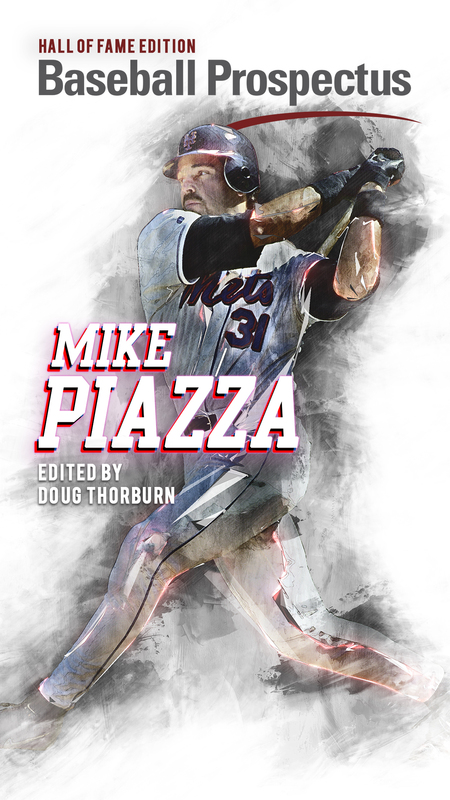 He now writes about fantasy baseball for Fantistics Insider Baseball, and writes about sports of all types on Medium @Jim_Turvey. Follow him on Twitter @Fantistics_Turv and reach out to him via email at Jim.Turvey21@gmail.com.